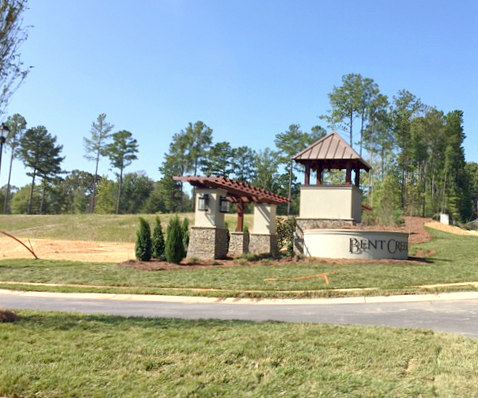 Bent Creek is a new 272 lot subdivision on 182 acres in Indian Land, SC by the corner of Henry Harris and Jim Wilson Roads. 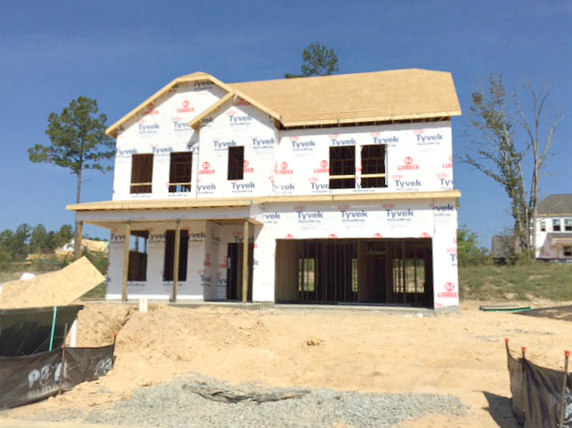 Home sites are around one-quarter to one-third of an acre in size and the builders are Taylor Morrison and Toll Brothers. Taylor Morrison is offering a variety of floor plans to appeal to different buyer’s needs. The 2,300 square foot ranch called the Melbourne is their smallest plan of one story living. At over 3,500 square feet, the spacious Verona plan has a guest suite downstairs and the master plus two to three other bedrooms upstairs. Other two story plans like the Kendyll offer first floor master suites. 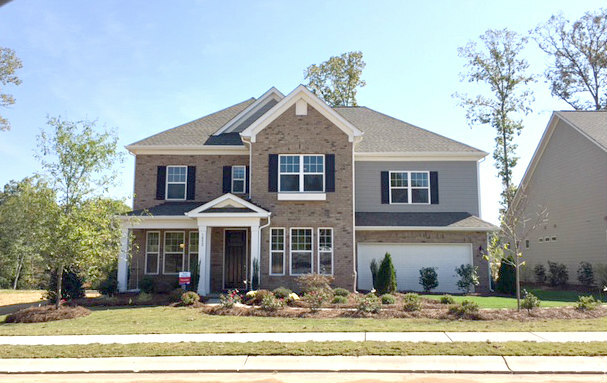 Homes feature fiber cement siding and options for brick and stone on the front elevations. Plan prices currently start from the lower $300’s. 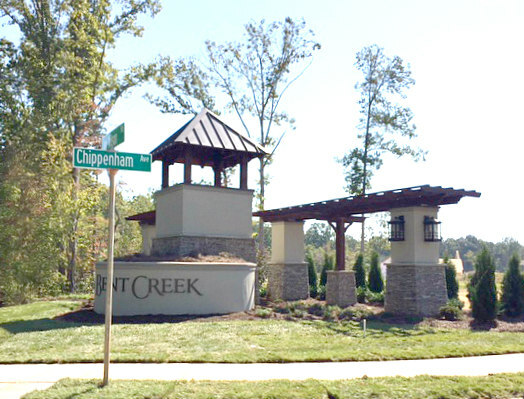 Toll Brothers will offer 11 floor plans to choose from in Bent Creek on approximately 134 lots. 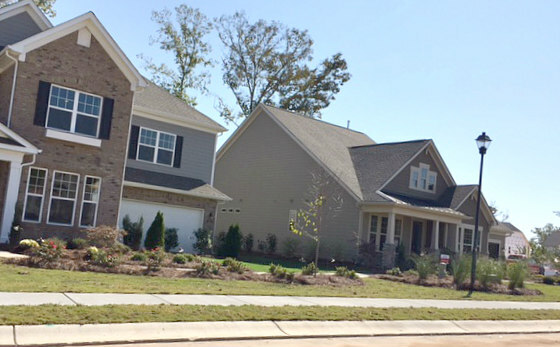 The seven Carolina collection plans include ranch homes and two-story homes on the smaller sized lots with as little as two bedrooms (the Benson) or as many as 6 bedrooms with the Egerton plan. Their Executive collection has five larger plans on larger sized lots, ranging from the 3,100+ square foot Dandridge up to the 3,800+ square foot Burlington. Pricing has not been released at this time but will start from the $300’s. Homeowners dues are approximately $700 per year. Community amenities will include a pool, clubhouse, and fitness center. Neighborhood children are zoned for Indian Land Elementary, Middle, and High Schools for the 2017-2018 school year. Please note: I do NOT work for the builder or developer! I provide information on this blog only to highlight my local expertise and the benefits of considering me as your buyer’s agent. If you are already working with a real estate agent, this is not meant as a solicitation and I encourage you to reach out to him or her with your questions. Contact Nancy Wilkins as your new construction expert at (704) 577-0023.